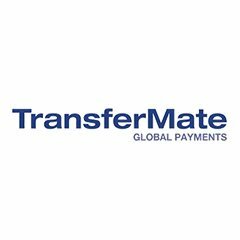 Irish B2B payments provider TransferMate has acquired Swiss-based FX paytech Devisenwerk. Financial details were not disclosed and specifics (such as jobs) are as rare as a clean and empty street in London. Sinead Fitzmaurice, co-founder and CFO of TransferMate, says the deal gives it “immediate market entry into Switzerland, allowing us to both pay out and collect in a very significant market for corporates”. Terry Clune, co-founder and CEO of TransferMate, adds that this year has been one of “rapid growth” via investment and partnerships with ING and Allied Irish Banks (AIB). The latter was actually last year. As reported in July, ING said it will invest €21 million in TransferMate as they seek out more SME customers and corporate clients. In November 2017, AIB invested €30 million in TransferMate in exchange for a small minority equity stake. At that time, the investment valued the firm at €250 to €300 million. TransferMate says it has full state-by-state licence approval in the US, so businesses can enter new markets while dealing with cross-border payments in multiple currencies. It also allows integration into various back-end accounting systems – including Intuit, MYOB, Sage, Netsuite, SAP Business One and Xero. The firm says it has a network of 200+ domestic bank accounts in over 50 countries.